4 Bedroom Detached House For Sale in Rayleigh for Asking Price £600,000. 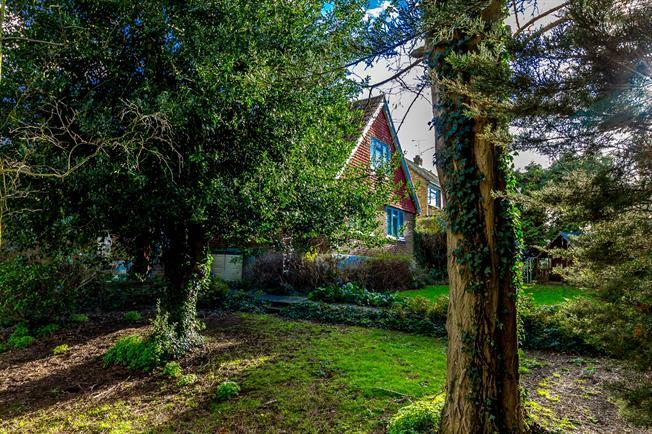 This large Four Bedroomed property boasts Three reception rooms, a separate detached garage, and exceptionally large gardens that are divided into Three individually unique areas, that total over 1/4 of an acre in terms of the plot size. This property can be purchased as a perfect family home, or could even be considered for redevelopment purposes, or planning to remove the existing structure, and build anew.!! The town seamlessly merges the character and charm of its Listed buildings and Wednesday market dating back to the 12th Century with a wealth of excellent amenities for 21st Century lifestyles. Families will find several primary schools in Rayleigh, with Sweyne Park and FitzWimarc at senior level.